This page gives more information about SBI and what I like to call my SBI secret. 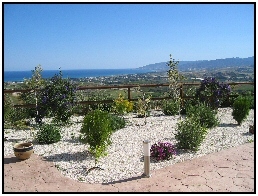 Plus a bit more information on how I got to build a website about Cyprus. Do you have a passion for something? I have a passion for the great outdoors and used to spend ALL my free time either on a mountain bike or trekking up some great big mountain. The first thing my husband and I did when we met (well shortly after actually) was climb the highest mountain in Africa - Kilimanjaro. The exhilaration of standing on top of Kili, gazing down at the world below, fuelled my passion for the outdoors even more and we travelled all over the world in search of greater adventures either on foot or on our bikes. I was lucky enough to have a great job in the retail world which paid for our exotic trips to countries like Bolivia, New Zealand and Ethiopia. Then I lost my job after years of hard work and dedication to the company I worked for. That was a HUGE kick in the teeth and left me feeling pretty low and unloved. But sometimes a big setback can be a blessing in disguise. For years, I had longed to escape the day job and start our own business. We had even been planning it but hadn't quite plucked up the courage to just do it! 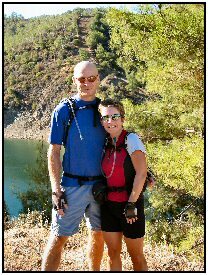 So we took a big gamble, sold our house in the UK and followed our passion for the great outdoors by starting our own mountain bike (MTB) and walking business on the lovely island of Cyprus. We bought some land on a hilltop overlooking the gorgeous Chrysochous bay, built our dream home which is also our MTB base (an accommodation base for our MTB holidays, bike workshop and bike hire centre) and have never looked back. We planned our new life carefully, trying to make sure we would have sufficient finances in the early years whilst our new business was building. But it's always tough starting your own business and eventually we knew we would need a second form of income to help us through the early years. We needed this second income to be home-based, to allow flexibility with our MTB business so I started scouring the internet for ideas. I don't even remember how I found it but I do remember reading about these amazing, inspiring and PASSIONATE stories of people who had started their own internet business, from scratch, by building their own websites. 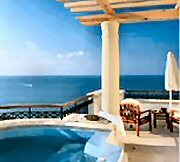 What if I could build a website about Cyprus travel that wasn't just another site selling Cyprus property abroad, offering cheap Cyprus car rental or Cyprus accommodation? If I could show visitors what a magical outdoor experience Cyprus offers, then surely I could entice more people to the island and our new cycling and walking business? I could feel a new passion burning and I got really excited. But I wanted to have a go. I re-read the information I'd gathered including watching a quick VIDEO GUIDE and I asked a few QUESTIONS. I then decided to just take a chance and GO FOR IT. We'd already started on our biggest adventure to date booking a one way ticket to Cyprus so I figured this was worth a go and I knew I could try it for free for 90 days and get a full refund if I really hated my PC by the end of it! I was totally amazed not to say totally overwhelmed, for the first couple of weeks. But I worked my way carefully through the SBI secret action guide and made full use of the FANTASTIC network of support in the user forum. Before I knew it I had built my first page. Boy that was when the passion for website building was truly ignited! Three years on and not only is this site providing that second source of income, together with my other internet work, it's fast becoming our MAIN source of income! And my goal of living TOTALLY off our internet income will become reality in just another couple of years! I have so much FUN building this website - I have two jobs I love and I get paid for doing it too. And my little SBI Secret? 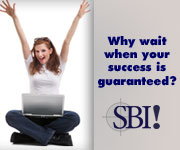 It's simply a great company called SBI which stands for SITE BUILD IT! They give you a complete set of tools that shows you how to build a website and, more importantly, get lots of visitors to it. And if you think that building a "free" website on Yahoo, Google or via a Blog like Wordpress is cheaper then read this comparison. To get visitors you need to be found on Google and once that happens, you start to get thousands of visitors every month. Take a look at this page to see how how this site ranks on Google. Even I was shocked! If you have a passion for something you can turn that PASSION into a second income. Discover my SBI secret that helped me build this website and introduced me to an exciting new world. Or have some fun watching and listening to others who have had their lives transformed too. If you can't play the video, just visit Youtube.com to download the relevant software. If you want to know more, please contact me - I'll be happy to answer your questions. I will say now that building a website from scratch is NOT easy and it takes a LOT of hard work, but boy is it good fun!!! If you decide to go for it too, remember you can get your money back after 90 days if you decide it's not for you. Just take a totally risk free trial by clicking the box below. Finally, I'll leave you with a quote that sums up how energised and enthusiastic I feel right now..